I decided in late October than I’d run every day in November and December – a run streak. As I’m writing this, I’m recovering from a winter cough and cold, but I didn’t let that stop me running either. Even on the busiest of work days, I ran, once even in my office attire! I’ve seen some cool sights and I’ve discovered plenty of neighbourhood alleys and footpaths that I’d previously not known existed. 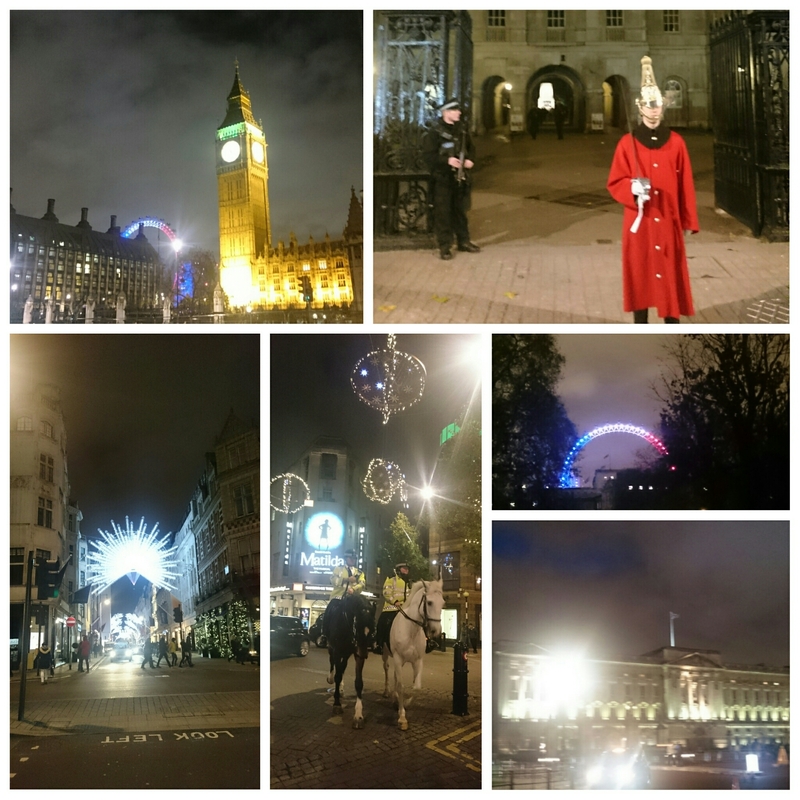 I even had fun rediscovering some parts of well-known spots, as you can see from my photos taken from a single night running around London! A touristy run streak evening in London! One of the biggest concerns I had when embarking on this run streak was the protect of injury. I have a haphazard running style which I vary a lot. I have run in everything from heavily supported shoes to 3mm drops with almost no support, to oversized Hokas, with specialist insoles and without. But I always used to get injuries: sometimes it would be sudden and painful, other times they would creep up on me, often the knee on my dominant leg, when I’d eventually not be able to walk pain-free, but I wouldn’t be able to pinpoint a single specific bit of training that caused it. Once my knee injury was so bad, it hurt to swim, and another time I carried a heavy duty knee brace with me when I went up Denali. For years I have gotten used to knee injuries coming and going, or should I now say, it’s come and gone? Since I’ve started running every day, my leg muscles keep getting stretched out, both whilst running and through use of a foam roller before and after. If I feel tired or like my muscles are tight, I run slow and steady. Every day I focus on running at least one mile, but with good form. As you might expect, it can often take a couple of miles just to warm up and get into a happy rhythm, so I may keep the pace down until I feel warmed up. After a month of running every day, I am starting to run with good form naturally (thanks Adam Elliot of British Triathlon Foundation for advice earlier this year!) I have no knee problems and I find that when I’m walking, I’m no longer compensating for sore knees, something I had done on and off for months and years. I’m not suggesting that running everyday will make you pain-free, but so far it’s been a journey in which I’ve re-learnt how to run whilst becoming more in tune with how my body feels, and for me, that’s led to happy knees!